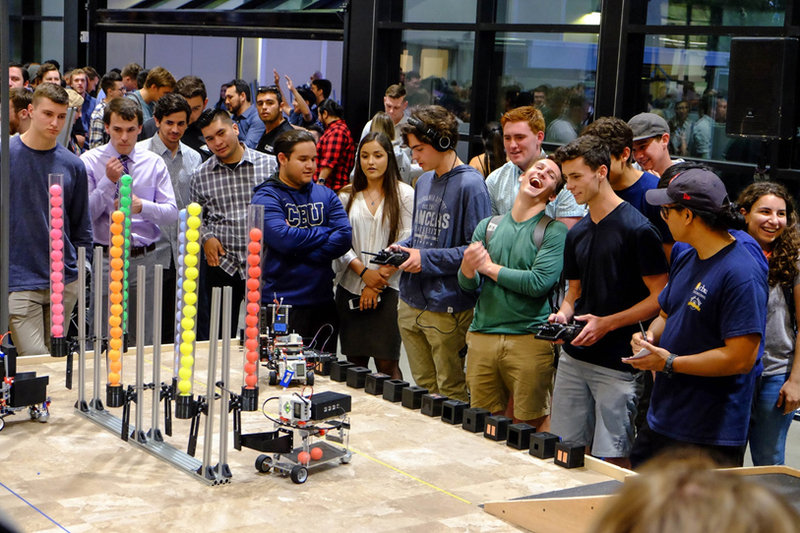 Tyler Lawton, a mechanical engineering freshman at California Baptist University, felt confident of his team's robot creation heading into the Design Showcase's Orb-O-Mania competition. His team worked throughout the semester to construct and program a robot that could collect small balls or orbs in an efficient manner. 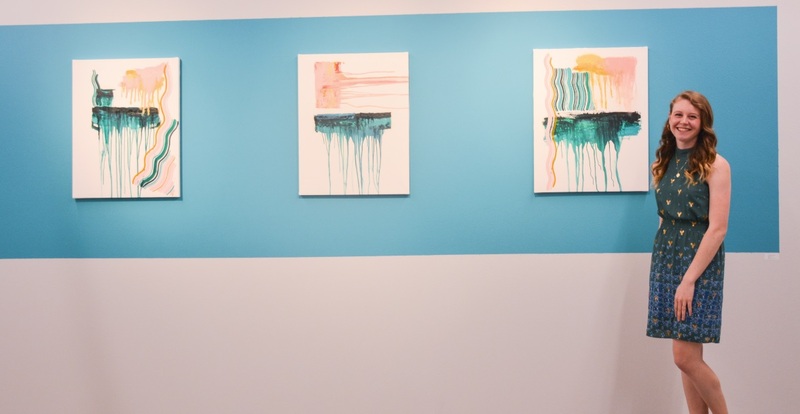 California Baptist University hosted an opening reception for the Senior Fine Art Exhibit at the Rose Garden Gallery on April 16. The exhibit runs until April 23 and is open Monday-Friday from 11 a.m. - 7 p.m. and by appointment on weekends. The scene was chaotic even for a simulated disaster. "Victims" cried and moaned for help, trying to be heard over the thumping background noise of helicopter sounds. 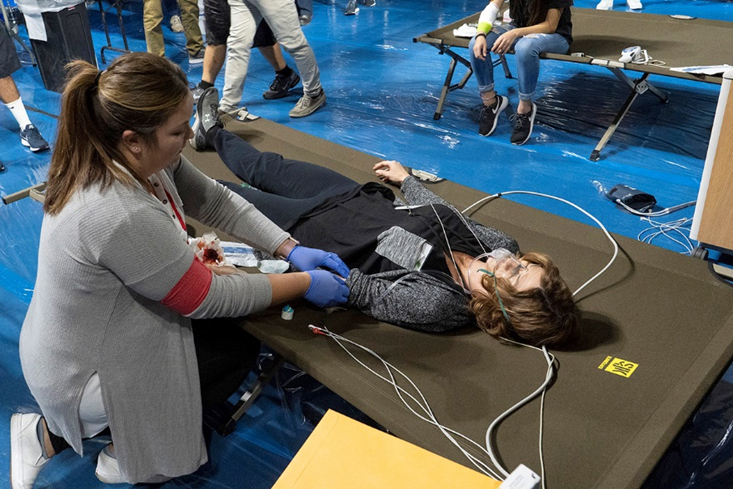 Graduate students from health care programs at California Baptist University scrambled to their aid, seeking to restore calmness and stability to the frenzied environment. 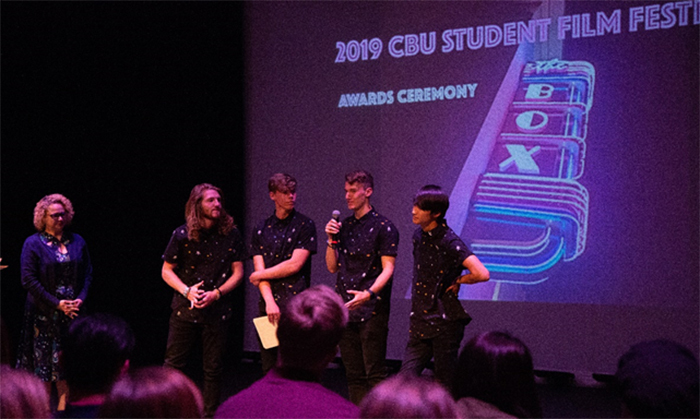 Spectators attending the 8th annual California Baptist University Student Film Festival were treated to 11 short films at the Box Theatre in downtown Riverside on April 11. The evening also featured an award ceremony. 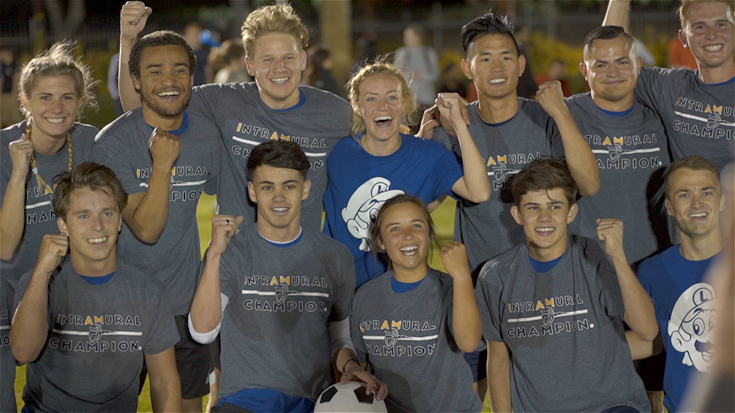 Hundreds of spectators filled the Front Lawn at California Baptist University to watch Italy secure the Lancer Cup, defeating Bhutan 3-1 on April 9. 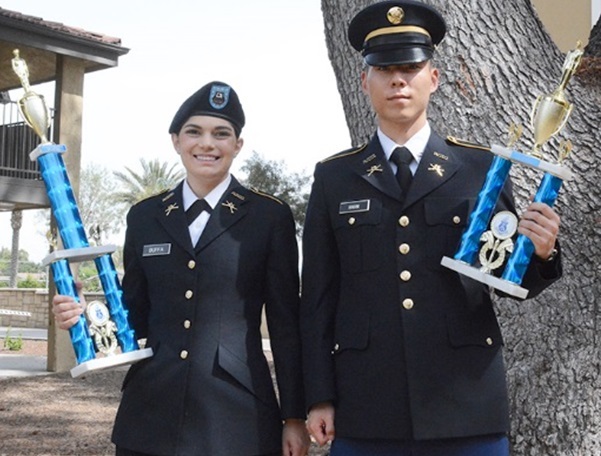 Laura Elizabeth Buffa, a biology junior and captain of her ROTC team at California Baptist University, felt the nerves coursing through her body. 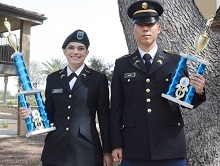 She was about to lead her color guard team into a competition it had been training for all semester. Before the team routine started, she paused to say a prayer.